Do I love this? No. The background swooshes are not my sort of thing. 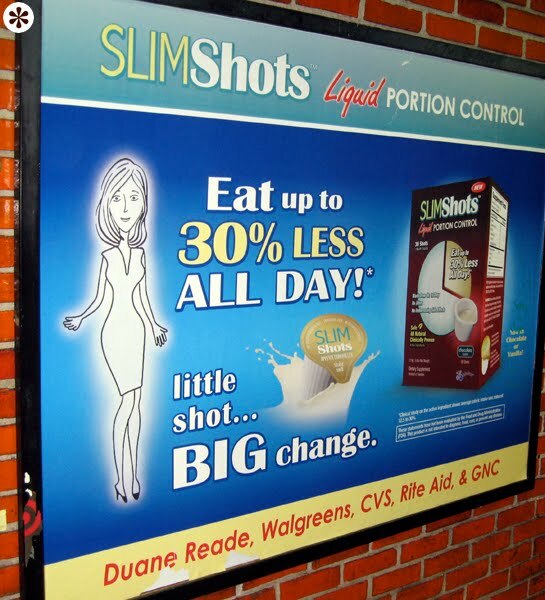 But the ad is simply designed and focused on its message. And you know I like that. Let me get this straight. 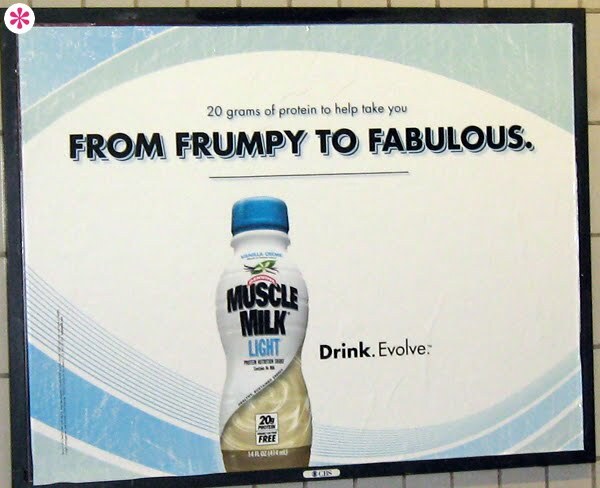 Drinking this crap makes you lose weight... apparently by killing you and leaving your cartoonish ghostly shell behind to haunt the subway. Or you can just let the trauma of seeing this supress your appetite... until you die and turn into a ghost of course.